I would buy this as it seems like a great price but the CAG in me says I can wait till black friday and they will drop it to $10 the way they did farcry primal. Even by November I probably still wont have the time to play it so I can wait. Same here. And I just don’t get why it’s acceptable game studios are allowed to do what they are today. Now I’m not saying what ubi is doing is illegal though it definitely is immoral. They sell a ‘complete’ edition of New Dawn day one. Usually things like that are reserved for ‘game of the year’ after a decent release window of a year or more, with a lot of new content and bug fixed. This time around selling a ‘complete’ version on day one is insulting. It insinuates the base game is incomplete. To say that means ubi is selling an incomplete game, which is unethical and shady. Thanks OP! Grabbed one in-store. Happy to find it for this price already since I just finished Far Cry 5 a few months ago. Caved and got a copy for my new Xbox One X. Thanks OP! Damn! That was fast. I think I'll wait till it's like $10. I'm probably in the minority but I thought Far Cry 5 was the best Far Cry game in the series. I literally dropped all my other games just to beat this game. Game was fun from the start and had me hooked until the end. Note: I couldn't get myself to finish Far Cry 3 and 4 but Far Cry 5 did it for me and I'm not a huge fan of FPS. Did you get very far in FC3? I know it gets kind of slow after the beginning but wow does it pick up. I still think about it all these years later. I honestly didn't play FC 1 or 2, but 3 hooked me with its formula. FC4 was good, but less memorable and 5 ended up being a slog for me, personally. I wasn't as keen on the villain and his underlings. Price matched mine yesterday as I already 100% completed the game and got a Platinum. Game is worth the $15.99 price point. If you can get it for cheaper, or are not in a rush, then by all means wait. But at that low price with GCU, I feel it is worth it. Not far but like 2/4th of the game. I sort of lost interests after that and totally forgot all about it. I think maybe because I was playing FC3 and Witcher 3 at the same time lol. Man, the digital is down to 20 now as well. I kinda wish I wouldn’t have pulled the trigger on this even with gamers club. Now I have to get up when I want to play it. FYI Its also on sale for $19.99 for PC via Uplay store. Now that the digital is $20.. and was able to get a PM/refund from BB I was thinking of trading my physical copy to GS for $19.25 and buy the Digital. That was last night about 9:30pm. I saved the trade and was going to run in there today since it said it's good till end of day today. Didn't print it out or anything cause it's saved in the app. 5:52AM today.. price changed to $16. Did not know they could do that after you saved the trade value. Jw where the digital is $20 at? Best Buy is still showing $40 for me. Is it $20 at another website or store? Also $20 on PSN (if you have PS+). I have early access to the Black Friday deals at Best Buy. Once you spend 1500 in store you achieve "elite" status earn this ability. If theres anything you want reply in the thread or PM me. They still have a ton of stuff available. We really need a downvote option. Picking it up today because I had a $25 rewards gift card that automatically generated (I guess you can only bank up to $20 worth) and I can't think of anything else I want to get before that expires. = A little over $4 out the door, I'm happy. You can change the settings for the rewards certs to not auto create one. I'd be interested to see how, if you wouldn't mind? I only see options to change what value/threshold it auto-generates. Same on website, this is from the app. Account, rewards, you should see when a cert is issued and a “change” link right next to it. 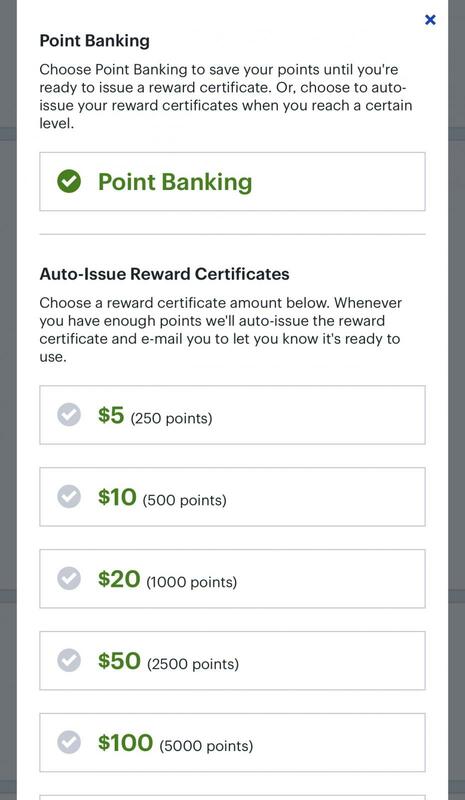 Sussed it - Points Banking is only available for Elite and higher. Yet to beat FC5 so I’ll just hold off. i agree with Mattism. I took advantage of last years 20 Best Buy promo but Ill pass this year.